Standard lifespan is about 5 years. Is the time difficult to read on the display? You might have gotten a power surge, or the battery is dead. First thing you do is replace the battery. Leave it plugged in. Remove the left side panel. Replace the battery and test the signal. Do you have power at the plug? Plug in a lamp to test the outlet. If it still does not work, then you will need to reset the program. 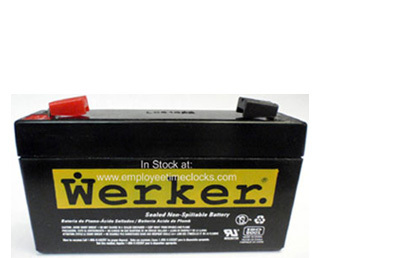 In any event, the battery needed replacing. We ship quickly. Overnight if you want. Questions? No problem. Call us. We know this machine. Remove the left panel, see the dip switches. Locate switch #3 and flip it to OFF.